I’ve gone a bit mad with cases lately, In fact I’ve gone a bit Pi mad altogether. Last week I took delivery of my fourth Raspberry, and this week I’ve taken delivery of my sixth RPi case – the FlexPi from C4Labs.net. 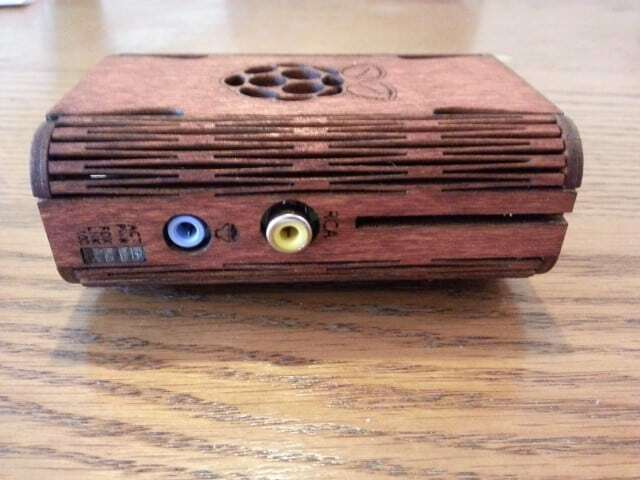 Unlike all my other cases that are made of some kind of plastic, the FlexPi is my first wooden case and really looks the part on my oak TV table. Today I’ll show you the features of the FlexPi, a video of me putting it together and info on where to buy one yourself. Firstly, don’t worry about compromising any fun with the FlexPi. 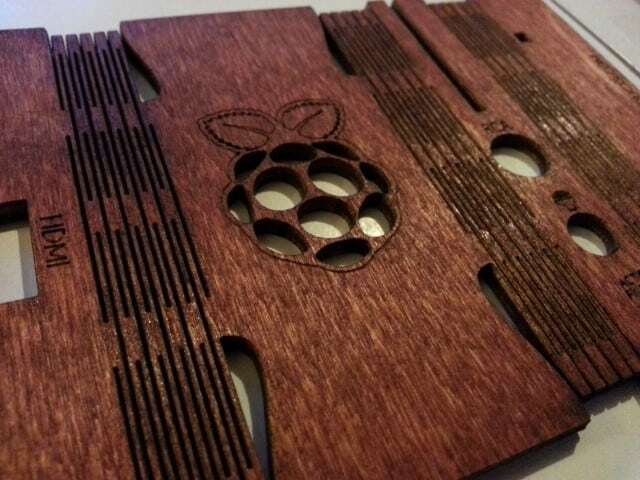 It comes through the post in a flat envelope and needs to be put together by the new lucky owner – something I always look forward to as I don’t think the Pi scene would be as fun if cases came pre-made. It’s easy to build, and is very sturdy thanks to the precision cut on the parts. As soon as you open the packaging you get an instant burst of that lovely freshly cut wood smell (birch). Inside, an A4 page of easy to follow instructions accompanies the parts, which comprises of the main section, 2 legs, 2 sides and a bag of nuts, bolts and washers. 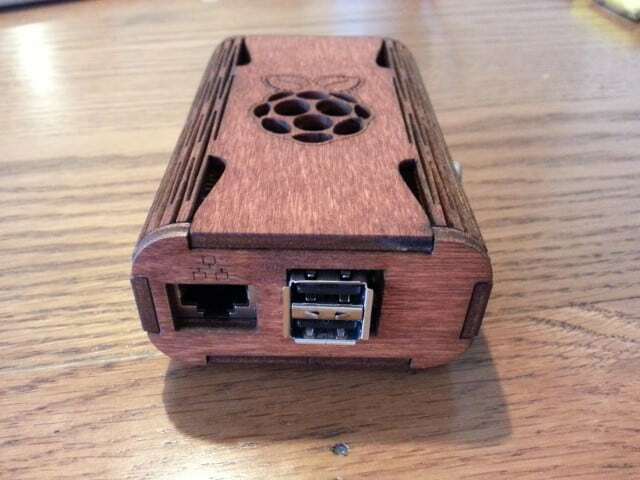 I chose the ‘Gunstock’ colour FlexPi to go with my furniture (thinking new media centre case to blend in). 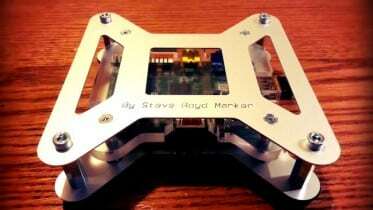 Once you have it built with your beloved Pi inside, you notice a lot of attention to detail. 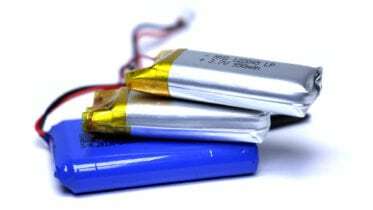 Nearly every port is labelled either with text or an image. There’s even a “Made in USA” on the underside which reminds you this isn’t just another import from China. The raspberry cut out on the top acts as ventilation whilst also making the case look really smart as well. Here’s one of my favourite parts of this case – the lightpipes. A clever piece of well-positioned plastic shows you what’s going on with the Pi via the onboard LEDs. 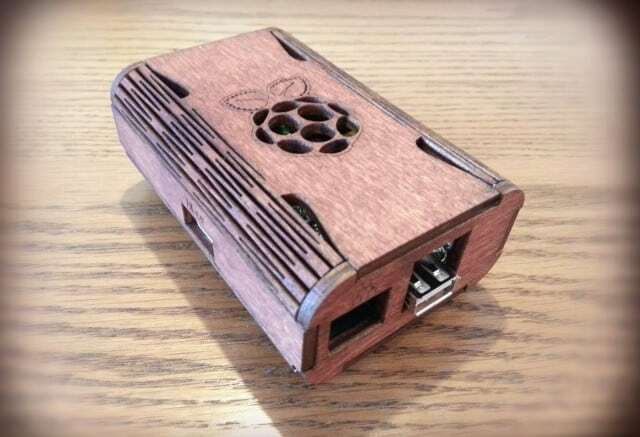 I haven’t seen many cases with this and it’s a very nice touch, especially if you’ve corrupted a few SD cards from unplugging your Pi too soon. Overall impression – epic! It looks good, fits good, works good and even smells good. 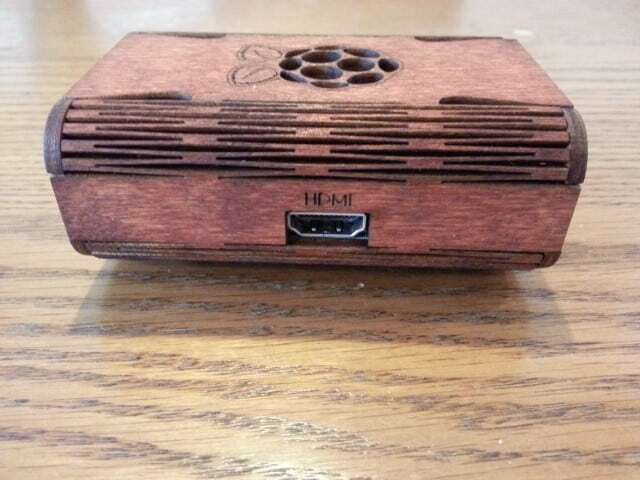 The guys over at C4Labs.net have done a great job with the FlexPi. Recommended. 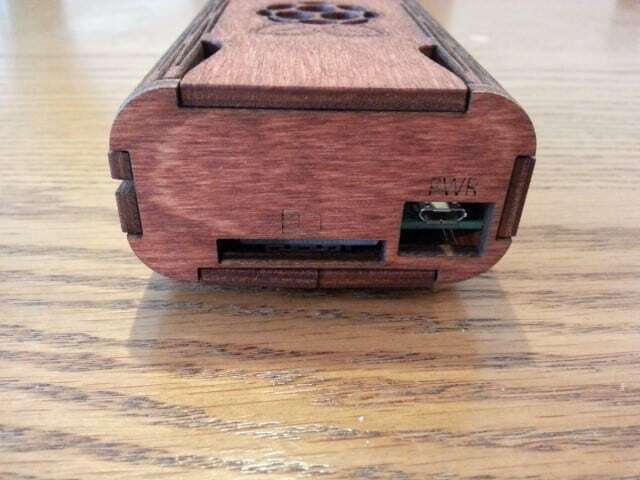 2 Comments on "The FlexPi – A Wooden Case For The Raspberry Pi"
Thank you for the great review! We’re always coming up with new cases. You might want to check out our Zebra Bold as well as our Bel-Aire. Both very different. Both available through our site. 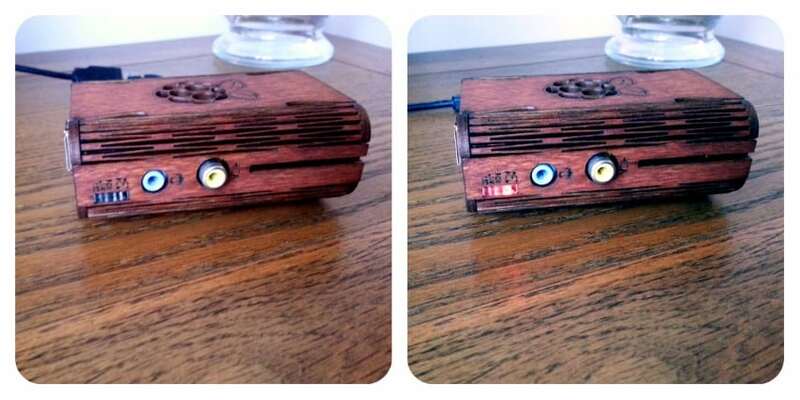 I saw the Bel-Aire a few weeks back, must be the coolest retro media centre case out there for the Pi – big fan! Keep up the good work!